December 20, 2018 Los Angeles Angels signed free agent RHP Trevor Cahill. October 29, 2018 RHP Trevor Cahill elected free agency. July 12, 2018 Oakland Athletics activated RHP Trevor Cahill from the 10-day disabled list. July 7, 2018 Oakland Athletics sent RHP Trevor Cahill on a rehab assignment to Nashville Sounds. June 14, 2018 Oakland Athletics placed RHP Trevor Cahill on the 10-day disabled list retroactive to June 11, 2018. Strained right achilles. May 16, 2018 Oakland Athletics activated RHP Trevor Cahill from the 10-day disabled list. May 9, 2018 Oakland Athletics placed RHP Trevor Cahill on the 10-day disabled list retroactive to May 6, 2018. Right elbow impingement. April 17, 2018 Oakland Athletics recalled RHP Trevor Cahill from Nashville Sounds. March 28, 2018 Oakland Athletics optioned RHP Trevor Cahill to Nashville Sounds. 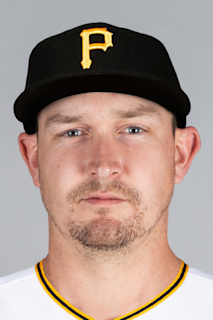 March 19, 2018 Oakland Athletics signed free agent Trevor Cahill. November 2, 2017 RHP Trevor Cahill elected free agency. September 1, 2017 Kansas City Royals activated RHP Trevor Cahill from the 10-day disabled list. August 10, 2017 Kansas City Royals placed RHP Trevor Cahill on the 10-day disabled list. Right shoulder impingement. July 26, 2017 Kansas City Royals activated RHP Trevor Cahill. July 24, 2017 San Diego Padres traded Brandon Maurer, Ryan Buchter and RHP Trevor Cahill to Kansas City Royals for cash, 2B Esteury Ruiz, LHP Matt Strahm and Travis Wood. July 4, 2017 San Diego Padres activated RHP Trevor Cahill from the 10-day disabled list. June 27, 2017 San Diego Padres sent RHP Trevor Cahill on a rehab assignment to El Paso Chihuahuas. June 22, 2017 San Diego Padres sent RHP Trevor Cahill on a rehab assignment to Lake Elsinore Storm. May 17, 2017 San Diego Padres placed RHP Trevor Cahill on the 10-day disabled list retroactive to May 14, 2017. Strained right shoulder. April 16, 2017 San Diego Padres activated RHP Trevor Cahill from the 10-day disabled list. April 9, 2017 San Diego Padres placed RHP Trevor Cahill on the 10-day disabled list retroactive to April 6, 2017. Strained lower back. January 20, 2017 San Diego Padres signed free agent RHP Trevor Cahill. November 3, 2016 RHP Trevor Cahill elected free agency. November 3, 2016 Chicago Cubs activated RHP Trevor Cahill. October 7, 2016 Chicago Cubs reassigned RHP Trevor Cahill to the minor leagues. August 16, 2016 Chicago Cubs activated RHP Trevor Cahill from the 15-day disabled list. July 18, 2016 Chicago Cubs sent RHP Trevor Cahill on a rehab assignment to Iowa Cubs. July 15, 2016 Chicago Cubs placed RHP Trevor Cahill on the 15-day disabled list retroactive to July 9, 2016. Right knee patellar tendinitis. December 14, 2015 Chicago Cubs signed free agent RHP Trevor Cahill. November 2, 2015 RHP Trevor Cahill elected free agency. September 1, 2015 Chicago Cubs selected the contract of RHP Trevor Cahill from Iowa Cubs. August 18, 2015 Chicago Cubs signed free agent RHP Trevor Cahill to a minor league contract. August 18, 2015 RHP Trevor Cahill assigned to Iowa Cubs. August 14, 2015 Oklahoma City Dodgers released RHP Trevor Cahill. July 17, 2015 Oklahoma City Dodgers activated RHP Trevor Cahill from the 7-day disabled list. July 12, 2015 Oklahoma City Dodgers sent RHP Trevor Cahill on a rehab assignment to Rancho Cucamonga Quakes. July 7, 2015 Oklahoma City Dodgers sent RHP Trevor Cahill on a rehab assignment to AZL Dodgers. July 2, 2015 RHP Trevor Cahill assigned to Oklahoma City Dodgers. June 30, 2015 Los Angeles Dodgers signed free agent RHP Trevor Cahill to a minor league contract. June 19, 2015 Atlanta Braves released RHP Trevor Cahill. June 11, 2015 Atlanta Braves designated RHP Trevor Cahill for assignment. April 3, 2015 Arizona Diamondbacks traded cash and RHP Trevor Cahill to Atlanta Braves for LF Josh Elander. July 14, 2014 Arizona Diamondbacks recalled RHP Trevor Cahill from Reno Aces. July 1, 2014 RHP Trevor Cahill assigned to Reno Aces from Visalia Rawhide. June 28, 2014 RHP Trevor Cahill assigned to Visalia Rawhide from Reno Aces. June 17, 2014 RHP Trevor Cahill assigned to Reno Aces from Visalia Rawhide. June 12, 2014 Arizona Diamondbacks optioned RHP Trevor Cahill to Visalia Rawhide. June 9, 2014 Arizona Diamondbacks designated Trevor Cahill for assignment. August 17, 2013 Arizona Diamondbacks activated RHP Trevor Cahill from the 15-day disabled list. July 30, 2013 Arizona Diamondbacks sent RHP Trevor Cahill on a rehab assignment to Reno Aces. July 25, 2013 Arizona Diamondbacks sent RHP Trevor Cahill on a rehab assignment to AZL D-backs. July 1, 2013 Arizona Diamondbacks placed RHP Trevor Cahill on the 15-day disabled list. Right hip contusion. April 30, 2010 Oakland Athletics recalled Trevor Cahill from Sacramento River Cats. April 20, 2010 Oakland Athletics optioned Trevor Cahill to Sacramento River Cats. April 19, 2010 Oakland Athletics sent RHP Trevor Cahill on a rehab assignment to Sacramento River Cats. April 4, 2010 Trevor Cahill roster status changed by Oakland Athletics.